It’s an overcast day on the lower slopes of Table Mountain and the very helpful Colin de la Harpe is teaching me how to geocache. The plan is to find the Heritage Cache, but as we start walking the rain pummels down. And so alternative plans are made and my first find is The Easiest Cache on Table Mountain. Not exactly the boast worthy one I was hoping for, but it was exciting nonetheless. 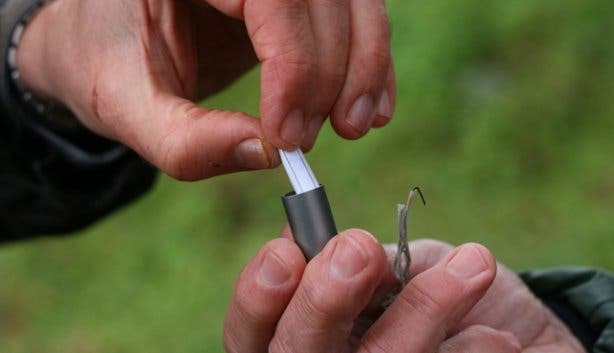 Here are the basics: Geocaching is a sort of modern take on treasure hunting. People hide the caches (boxes) and then post GPS coordinates of their location on the website: www.geocaching.com. There are over ten different types of caches, some of which have small items that people can take and replace with new objects (if you’re taking your children these would be nice ones to start out with), but at the very least the caches will have a logbook for you to sign. 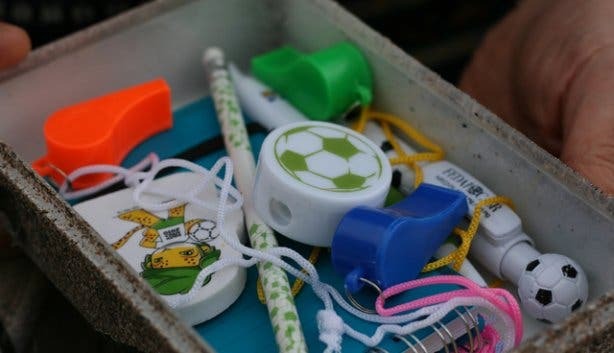 The containers sometimes have small items that people can take and replace with new objects - if you’re going geocaching with your children these would be nice ones to start out with. To get started go to the website and sign up. Look for caches in your area and then, using a GPS or smartphone, find the spot that the coordinates lead to. There will often be additional hints or puzzles to figure out that will help you find the cache as the coordinates will only get you to a couple of metres nearby. There are caches hidden all over Cape Town, if you’re not into hiking then start out with the urban spots, but for those of you that like to spend time on the mountain this is a great way to try out some new trails that you might not have heard about before. The Heritage Cache that I wanted to find is an unusual one, it was hidden by Cobus van Bosch and Arlene Amaler-Raviv and contains objects that represent our country’s heritage that have been chosen by South African artists like William Kentridge, Willie Bester and Diane Victor. They have attached notes explaining their choices. Geocachers are encouraged to add their own objects to these so it is a growing collection of items that represent South Africa’s heritage and makes for an interesting cache. The Easiest Cache on Table Mountain is on the way to the Heritage Cache and without giving too much away it’s a tiny tube that was tucked away very neatly in its hiding place. Unrolling the scroll of paper and seeing all the geocaching screen names of those that had found it before me gave me an idea of just how many people are a part of this subculture, I added my name with a unjustifiably large sense of pride considering that Colin had actually been the one to locate it. We were joined by Karl Geggus who had already been caching in the area but decided to join us anyway. 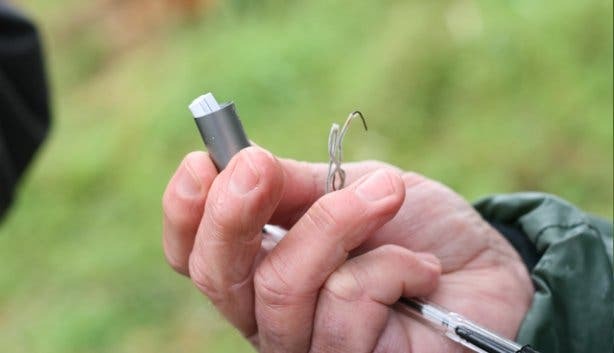 Geocaching is an underground scene in its own right and listening to Colin and him talk it’s clear that there is a strong sense of community amongst the geocachers – mixed in with a healthy dose of competition. 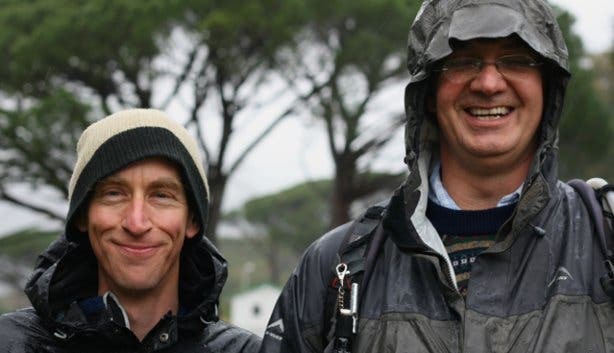 Colin is a doctor by profession and the friends he’s made through geocaching are from various walks of life. The bond that they share over this technological treasure hunting has been more than enough to strengthen their friendships. It seems to be the sort of thing that starts as a mild interest and then, for the true geocachers, grows into an all consuming passion. If you'd prefer to go geocaching without the little ones then send them off to try out some of these adventures for children.